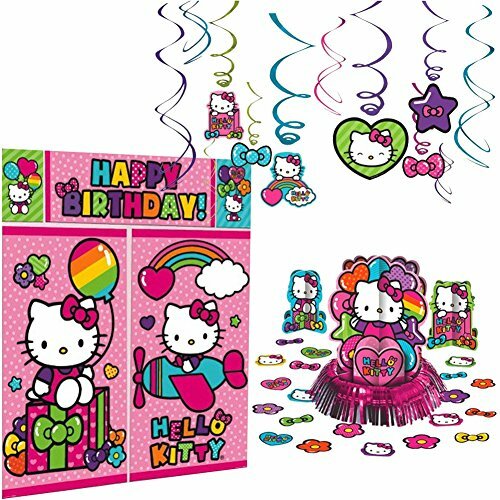 Hello Kitty Rainbow Decorations Birthday Party Supplies Pack | Hanging Swirls, Scene Setter, and Table Decorating Kit | Have The Best Hello Kitty Party With This Rainbow Hello Kitty Party Set! 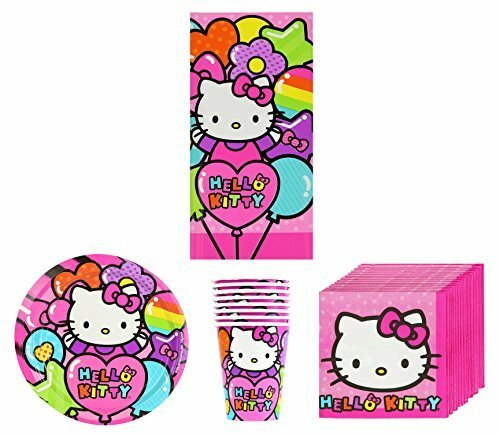 Hello Kitty Rainbow Decoration Party Supplies Pack, Every little girl loves Hello Kitty! Party with the world's most popular pussycat when you get our Hello Kitty party supply pack. This Hello Kitty party pack includes hanging swirl decorations, a scene setter, and a table decorating kit. This Hello Kitty Party Supplies Pack is a great party theme for anyone who loves bright colors and Hello Kitty! This party theme is colored with pinks, blues, purples and greens for a fantastic party! Party pack includes 16 beverage napkins, 16 dessert plates, 1 table cover, 16 cups, and 16 round "Thank You For Making My Party Special!" stickers. Make sure that your little girls guests get the opportunity to see how much you appreciated their company with our Hello Kitty Rainbow Loot Favor Bags. Pull Pinata, Hello Kitty 22"X17"
YA OTTA PINATA-Pull Apart Pinata. The pull pinata's have a secret trap door and twenty to thirty ribbons that hang from the bottom. Only one lucky ribbon however is attached to the trap door that opens when the ribbon is pulled allowing all the goodies to spill out. All the other ribbons are lightly attached and pull off when tugged. No need for a blindfold or pinata buster! 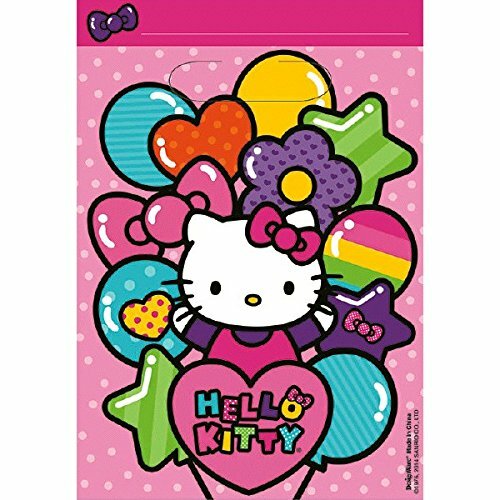 This package contains one Hello Kitty Pinata measuring 22x17x2-1/2in and can hold approximately 7lb of candy and pinata fillers. Easy to use. 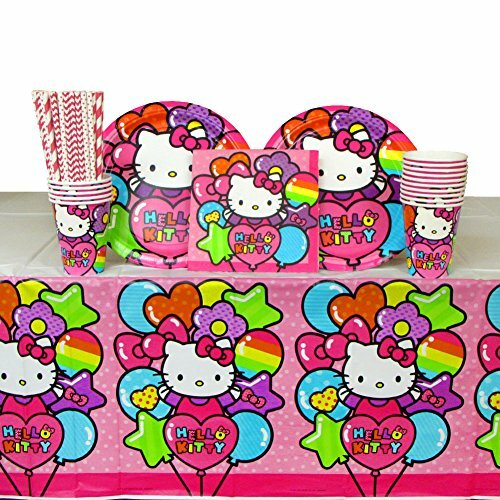 Hello Kitty Birthday Party Supplies Pack for 16 Guests Includes: Straws, 16 Dinner Plates, 16 Luncheon Napkins, 16 Cups, and Table Cover | Have The Best Hello Kitty Party With This Rainbow Party Set! 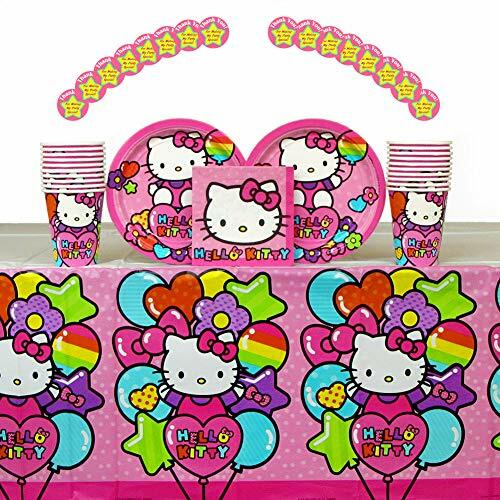 This Hello Kitty Party Supplies Pack is a great party theme for anyone who loves bright colors and Hello Kitty! This party theme is colored with pinks, blues, purples and greens for a fantastic party! Party pack includes 16 luncheon napkins, 16 dinner plates, 1 table cover, 16 cups, and 24 Cedar Crate Market brand straws made of non-toxic, BPA free, and elemental chlorine free materials. Strong and durable for lasting fun and enjoyment! Straws made in the USA! 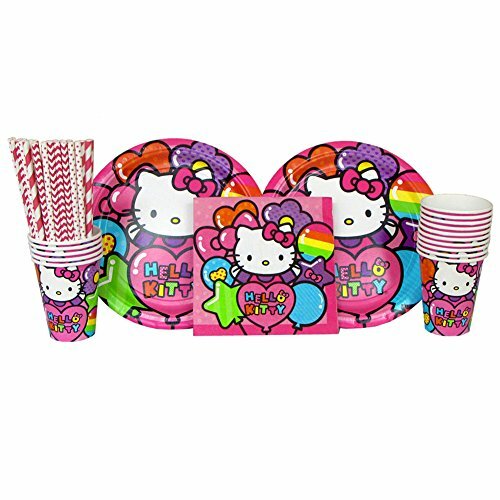 This Hello Kitty Party Supplies Pack is a great party theme for anyone who loves bright colors and Hello Kitty! This party theme is colored with pinks, blues, purples and greens for a fantastic party! Party pack includes 16 luncheon napkins, 16 dinner plates, 16 cups, and 24 Cedar Crate Market brand straws made of non-toxic, BPA free, and elemental chlorine free materials. Strong and durable for lasting fun and enjoyment! Straws made in the USA! 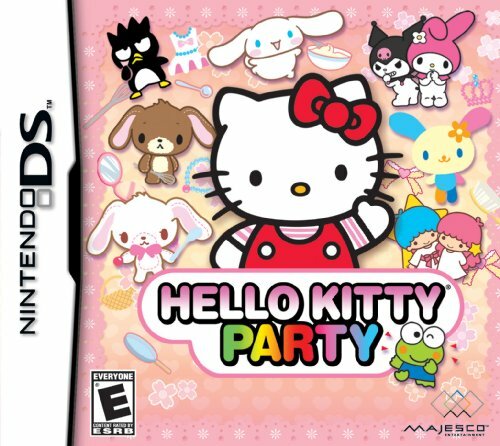 The party starts here with Hello Kitty and her adorable Sanrio friends! Get together with this cute and playful group as they shop, sew, cook, dance, make dresses, dress up and much more. Find out what's made the beloved Hello Kitty franchise a worldwide hit! This video is 35 Surprise Eggs!!! Disney CARS MARVEL Spider Man SpongeBob HELLO KITTY PARTY ANIMALS Littlest Pet Shop So, I will show You unboxing 35 eggs surprise! I have Disney Cars surprise egg, SpiderMan, SpongeBob and other interesting eggs! Also I have surprise eggs with toys Party Animals, Hello Kitty and Littlest Pet Shop!